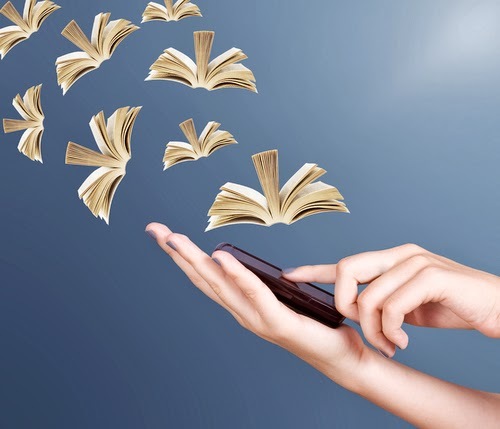 In the week’s context “Read an eBooK” (2nd-8th March 2014), Fotis Dousos shares his thoughts on digital reading with you. “We like to touch, to caress, and to fondle books, like common frotteurs. Should someone deprive us of the natural, unmediated contact with the object of our desire, we are left feeling miserable, inconsolable and deeply wronged. All these cries, which fling all around, detached, for the upcoming extinction of the book as a physical object (and it being replaced by its digital successor) are triggered by people like us. The famous literary critic, Harold Bloom, writes in one of his books (How to Read and Why- no it is not an eBook): “Reading well is one of the great pleasures that solitude can afford you, because it is, at least in my experience, the most healing of pleasures”. Amongst those who love reading, a few of us would disagree with this nice and key wording. The act of reading, had, has, and will continue to have a deeply therapeutic value. It is a remedy which contributes on an existential level. It concerns everybody and it spreads to many areas of the human experience. Let us read then. Especially now that, in a large degree, it is also free! Fotis Dousos was born in Serres in 1980. He has studied theater at the School of Drama, Faculty of Fine Arts, of the Aristotle University of Thessaloniki. From the year 2005 to 2008, he worked as a theater pedagogue in elementary schools. He is one of the founding members of the band “Darnakes” and has recorded with them three albums (Virgo 2005, AnoKato Records, Libra-The Arranged Marriage of Antigone 2010, Parousia Records-Scorpio, 2013, independent production), and has performed in many concerts in Greece and abroad. In 2009, along with Alexis Raptis and Fenia Mayou, he founded the drama team Hippo, which specializes in the area of children’s theatre and educational drama. His book, Chimera: Short Stories and Tall tales, for the young and older readers, has been released by Saita Publications.